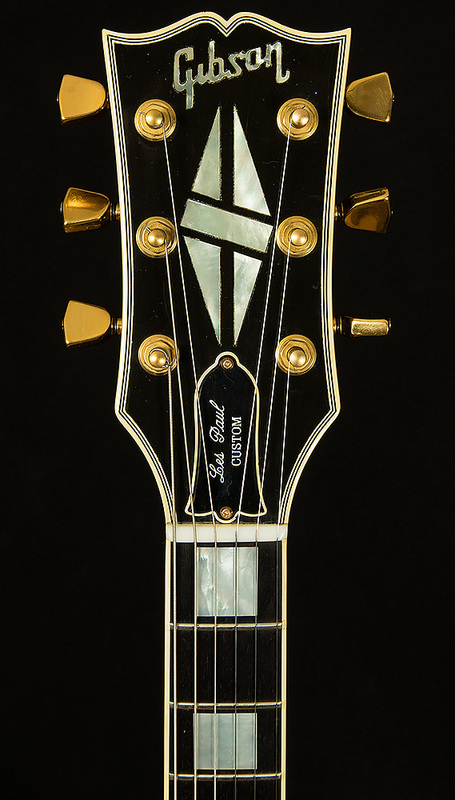 We are thrilled to offer another great vintage instrument to you! 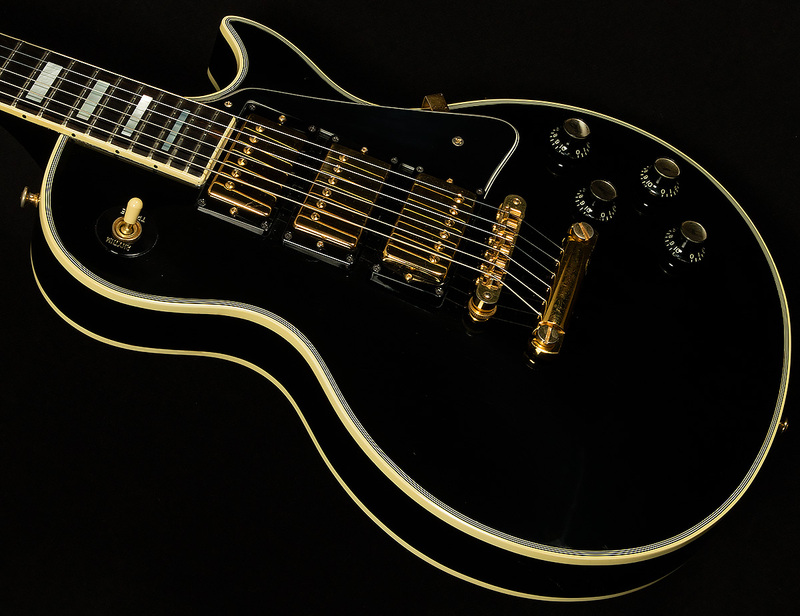 This 1977 Les Paul Custom shows the typical vintage wear you would expect. 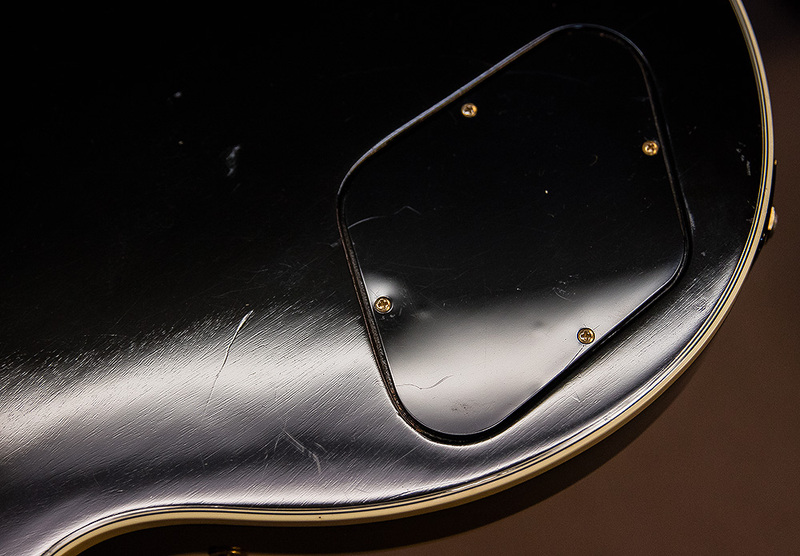 There are dings and scratches throughout the guitar with some bigger dings on the back. 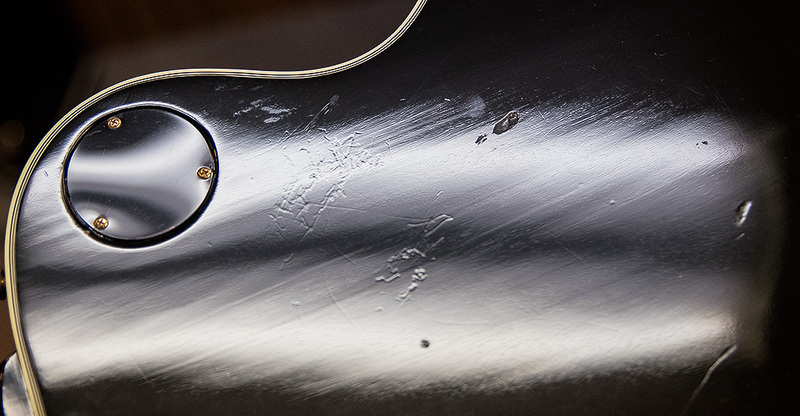 The hardware is tarnished. 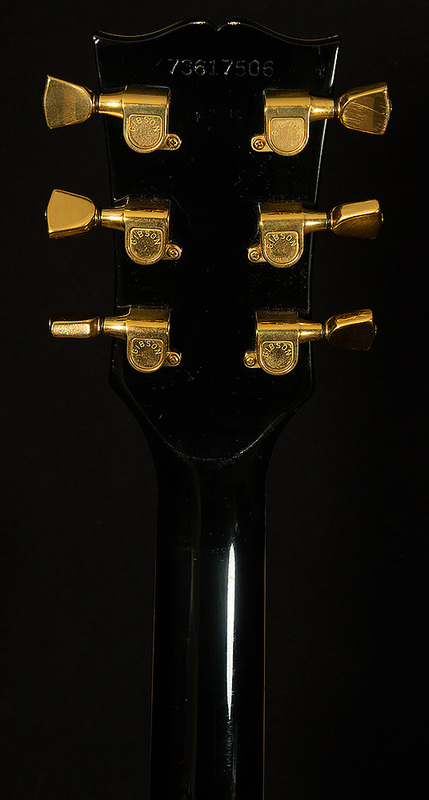 You'll notice some checking around the headstock logo. 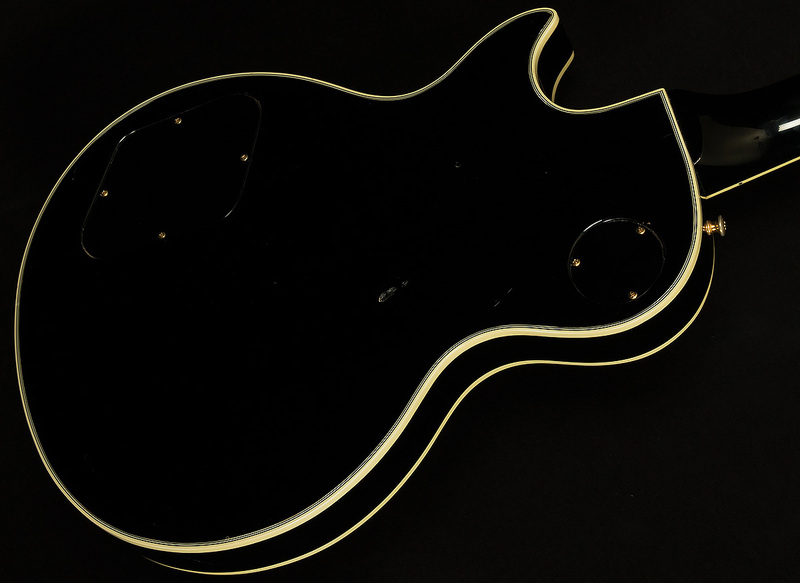 One thing to note, the bridge pickup ring is a different color under a black light, signifying it may have possibly been replaced at some point. 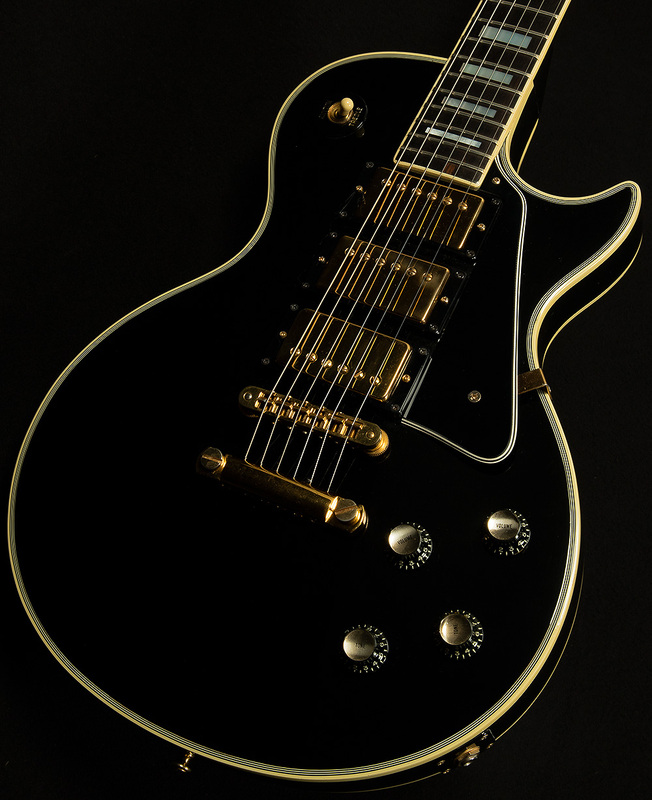 The frets, pickups and tuners are all original. 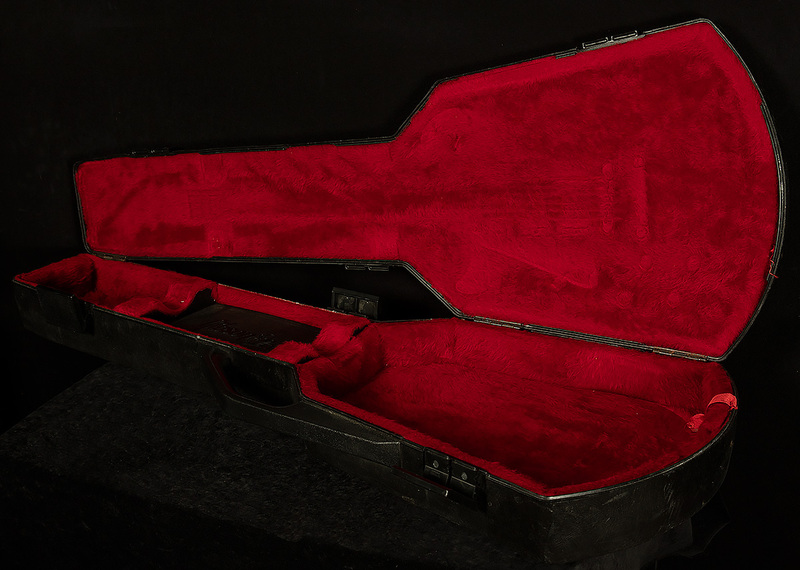 The guitar includes the original Gibson chainsaw case that is in good condition.